This is the Homepage of Rhyl Lifeboat station in North Wales, one of over 250 R.N.L.I. stations which cover the complete coastline of the British Isles and Ireland, including inland waters. 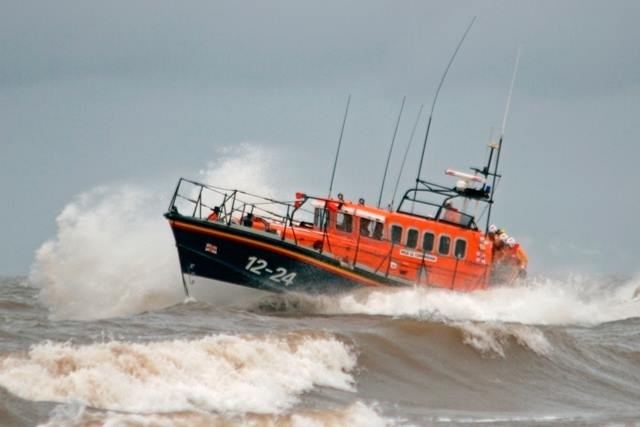 Throughout this website, The all-weather lifeboat will be called “AWB” and the inshore lifeboat “ILB”. This year is filled with excitement as we learn the timescales of when and how our new Shannon-Class lifeboat ‘Anthony Kenneth Heard’ finishes the build stage and goes on the water, together with construction of the new launching equipment and crew training. This will be a period of intense training for our crew, hopefully culminating in our new lifeboat coming into service late 2019. Our Shannon appeal was launched on Monday March 5th 2018 and the target was £150000. We have reached that target! Click on this link for details! FOLLOW OUR BOAT’S BUILD ON THE PAGE .LATEST PICTURES 8/4/2019. Souvenir Guide – our souvenir guide to the Mersey and station, prepared for the 2017 coast review, is available to purchase for only £3 (£1 plus p&p) by clicking here, or contact the boathouse direct by email. Please click HERE to go to our new dedicated events page, which will give information of upcoming events and how to interact with us. Normally (depending on weather conditions) the ILB will exercise Sunday mornings about 10am to 12 noon, and also with the AWB on exercise. If you wish to donate to the RNLI through Rhyl station, please go to our donate page. Please don’t forget to restrict the donation to Rhyl station. Thank you. Did you know? The lifeboat is crewed by volunteers. When a call comes in, crew members may be at work, or at home. The coastguard pages the crew and they jump into action, attending the lifeboat station as quickly as they can do safely. Once at the station the coxswain or helm (for the ILB) picks the best team for the job from the available crew. The shore crew ready boats and tractors whilst the boat crew are kitting up. Communication is maintained with the Coastguard to get as much information as possible before the boats leave the boathouse to LAUNCH ! We’re always ready to respond! 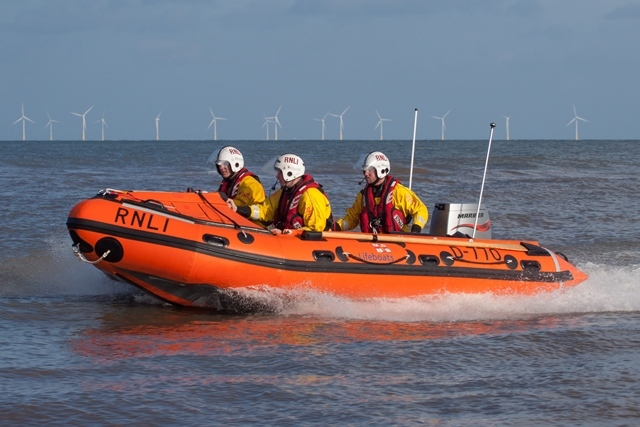 Latest Rhyl Inshore lifeboat launch 21/4/19.